If I were to list the most common financial goals that are often repeated across the nation in financial small groups, seminars, and sermons, I am confident I know the two that are listed the most. One is a goal most pastors dream of, and the other is a dream held by those in the the pursuit of stronger financial health. Can you think of what these two goals might be? Pastors dream of their church being filled with faithful tithers. The Bible teaches it and, if you do the math, it is a clear benefit for church finances. Individuals dream of being debt free. Who wouldn’t? The freedom and extra cash would be great. But what if both goals are not to be life pursuits in and of themselves? What if they can unintentionally create shame, guilt, discouragement, or even false gods? First, let me say that both pursuits are certainly worthwhile, and both can be supported strongly by scripture. 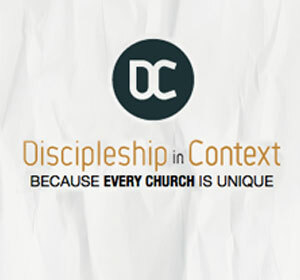 They each have immeasurable benefits for people and churches. They are good principles that can create great habits. However, what if both goals are kind of wrong? What if they are not the healthiest ways to pursue our futures? What if they are not always spurred on by the highest motives? Pastors can be so concerned with tithing that they speak in terms that lean more towards guilt, shame, and negativity as opposed to promise, hope, and faith. When focused too much on tithing, a pastor’s judgement can become clouded and ascertain that the church’s financial challenges are clearly the result of poor giving as opposed to other factors like, overspending, lack of vision clarity, or an absent discipleship plan for generosity. When individuals idolize becoming debt free, they can actually reduce giving and invest more resources in becoming debt free sooner. When individuals obsess over their debt they can feel overwhelmed, discouraged, or even hopeless. If chased the wrong way, the pursuit of two very good objectives can have negative short-term experiences. However, regarding these two objectives as one of many stepping stones we take on our financial journeys can help set them in the right place. So rather than focusing on the goal of getting more tithers and becoming debt free, I propose that we think about the following money goals to embrace every day. Money Goal #1: I can be 100% obedient today with all my resources, no matter how much or how little I have. Money Goal #2: I can pursue every financial principle in scripture today. Money Goal #3: I can fully receive every blessing God intends for me to have today as I apply his principles to my finances. Money Goal #4: I can be more financially free today than ever by following God’s principles. Money Goal #5: I can be far more generous today than I have ever been. Money Goal #6: My obedience, freedom, and generosity will not be limited by 10% giving or by my current debt amount. Those are just a few. Maybe you can think of some on your own. Remember, all of God’s principles and freedoms are fully accessible today to everyone — no matter your income or debt level. You do not have to wait for another day to receive grace, fulfillment, or freedom in your finances. Being a debt free giver will be great one day, or maybe it might feel a little empty if we have not learned to release all of God’s goodness in your financial lives. 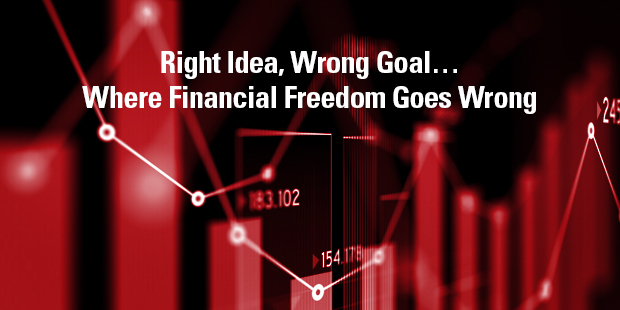 Don’t wait another day to chase financial freedom with the right steps in mind. Connect with an Auxano Navigator to begin a Generosity conversation.